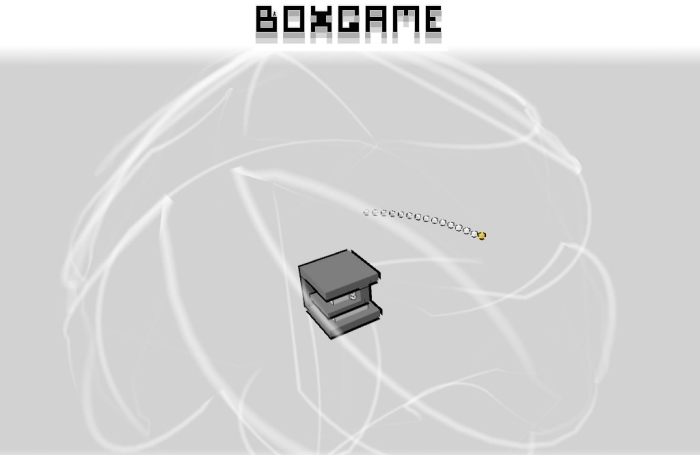 BOXGAME was developed by Sophie Houlden (hint: Swift*Stitch) in Unity and can be played here; there’s even a short origin story and.. that’s about it for facts, so let’s move on. 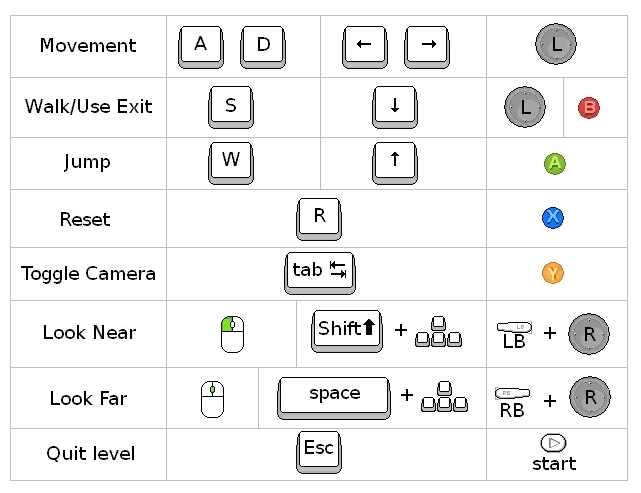 The controls aren’t overly complex, as can be seen above: Keyboard + mouse or gamepad – I tried both and they work equally well. Getting through each level requires you to find a way to the exit door and going through it, but there is more to it than simply plotting a course and heading towards it..
Navigating can be confusing at first, since the camera angle(s) take some getting used to, but give it a few minutes and I’m positive you’ll find it quite manageable and a fun challenge to boot. There is no difficulty slider (is there ever in a puzzle game unless it has combat? ), but it does scale nicely, with initial levels (of which there are 15) featuring simple obstacles the likes of spikes and precision platforming. Don’t let the initially simple platforming fool you however, because after a while the pace quickens and the challenge truly begins, complete with a “polarity” system handled via. green and red “spray paint”. The way those two work is pretty simple: Spread across the levels are colored obstacles, colored in green and red, neither of which you can pass through unless you’re that color.. uhm.. it’s a bit hard to explain. Another thing to make note of, is that the layout wraps around itself. What this means is that in some cases, you actually have to rely on quick reflexes in order to navigate while free-falling! Exciting stuff and it certainly adds to the challenge. 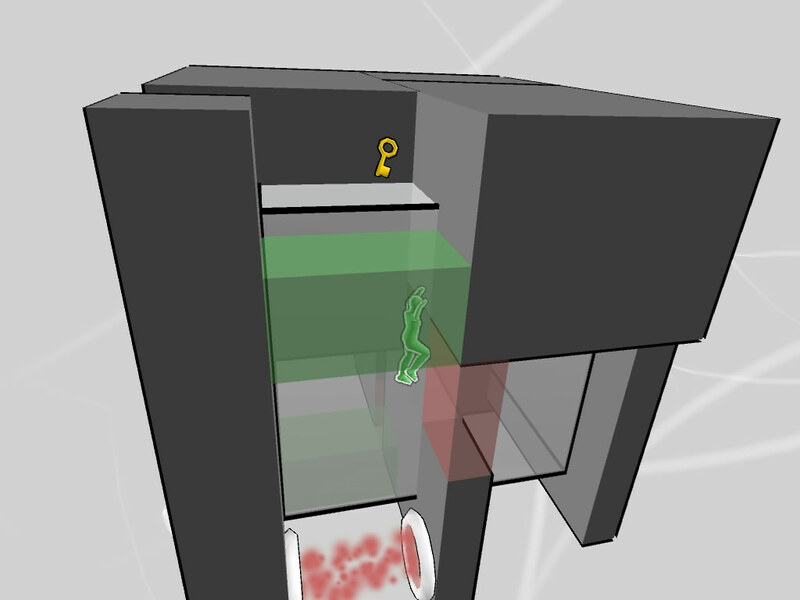 If you feel that you’ve gotten stuck, restarting the current level is but a key/button press away; quite useful, because there will likely be times where you get so confused that starting over is an easier way out of the maze you’ve gotten lost in. Do you have even a slight interest in puzzle/platformers? Yes? Then play BOXGAME already!